Get Tri Fit specializes in triathlon training from enticer to Ultraman distance. We will work with you to ensure you achieve your training goals. Get Tri Fit will tailor a training plan that works around your lifestyle. We can take the guesswork out of your training so you can concentrate on your performance. 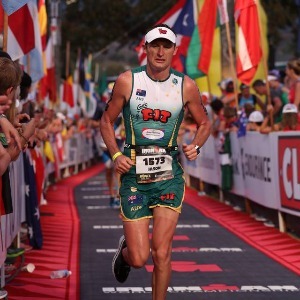 I am the owner of Get Tri Fit, which is based in Tasmania. I have been in the fitness industry now for over 19 years and coach locally, nationally and internationally. I have represented my country in athletics and at Kona in 2016 and my State in several disciplines. There are many different ways to improve your triathlon performance but the most effective way to ensure you finish your race strong and fast, is with a training plan delivered by a professional coach. I am experienced in working with athletes across a variety of different sports and I will work with you to ensure you reach your training goals. I specialize in triathlon coaching across all distances, so if you are chasing a faster time, looking to work on a specific area or just want a new challenge I would like to chance to talk to you about your goals. All my training plans are tailored specifically to the athlete. I will work with you to understand where you are at with your training and what you need to move forward. Success. Coach Jason Allie has been notified of your message.